On March 15-16, 2017, the Standards Alliance in collaboration with the U.S. Embassy in Jakarta and the Indonesian Ministry of Trade (MOT) held a 2-day workshop entitled “Key Aspects of Good Regulatory Practice (GRP): Tools to Effectively Achieve Policy Goals ” in Jakarta, Indonesia. 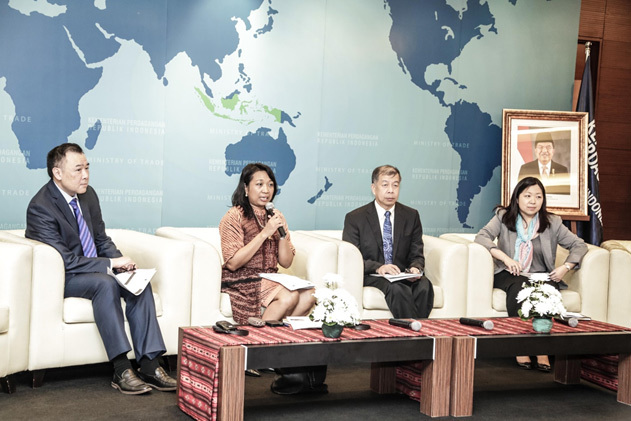 The idea for the workshop grew out of discussions held during a meeting of the U.S.-Indonesia Trade and Investment Framework Agreement (TIFA), where officials on both sides agreed to organize further exchange on principles such as coordination of regulatory policy across ministries/ agencies, transparency, public consultation, processing and consideration of public comments and regulatory impact analysis (RIA). The workshop was widely attended, with more than 150 participants representing Indonesian public and private sector organizations. Speakers from the U.S. represented the Office of the United States Trade Representative (USTR), Office of Management and Budget Office of Information and Regulatory Affairs (OMB-OIRA), ASTM International, International Association of Plumbing and Mechanical Officials (IAPMO), International Code Council (ICC), and Shell Corporation. Speakers from Indonesia also included a mix of public and private sector organizations such as MOT, Ministry of Law and Human Rights (MOLHR), Employers Association of Indonesia (APINDO), Ministry of Home Affairs, Center of Strategic and International Studies (CSIS), Atma Jaya University, American Chamber of Commerce, Indonesia and the U.S.-ASEAN Business Council.